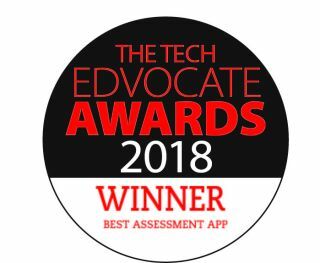 Sept 4, 2018 - MobyMax, the most widely adopted differentiated learning solution in the U.S., has been awarded the 2018 Tech Edvocate Award for Best Assessment Tool or App. MobyMax was also honored as the Best Global EdTech Company and was an award finalist in seven additional categories: Best Early Childhood Education App or Tool, Best Math App or Tool, Best Personalized/Adaptive Learning App or Tool, Best Blended/Flipped Learning App or Tool, Best Literacy App or Tool, Best STEM/STEAM Education App or Tool, and Best Classroom/Behavior Management App or Tool. The 2018 Tech Edvocate Awards are presented to the year’s top edtech companies, products, people, and more. The finalists and winners were selected by a panel of edtech thought leaders, PreK-12 teachers, college professors, K-12 administrators, college administrators, and PreK-12 parents. · The 2018 Teachers’ Choice Award for the Classroom by Learning Magazine. The Edvocate was created in 2014 to advocate for shifts in education policy and organization in order to enhance the quality of education and the opportunities for learning afforded to P-20 students in America. The Edvocate prides itself on its unconventional approach and ideas, as well as its commitment to a comprehensive reorganization of American’s P-20 system.